The dozens of community and nonprofit theaters across the U.S. forced to abandon productions of "To Kill a Mockingbird" under legal threat were offered an olive branch in the form of Aaron Sorkin's script for the Broadway version. 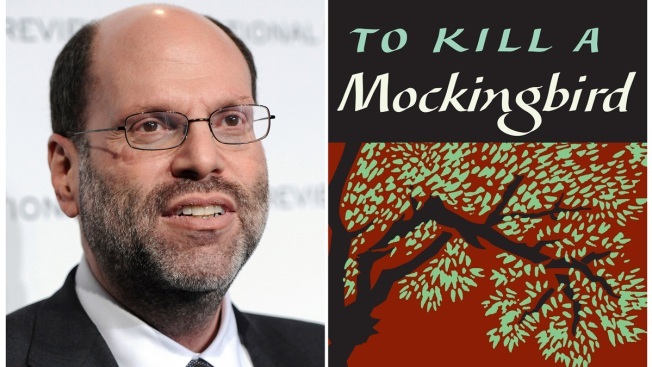 Scott Rudin, producer of the New York adaptation of Harper Lee's novel, had cited an agreement with Lee's estate in demanding that what he called improperly licensed productions be shut down. Following a backlash in recent days, Rudin said the theater companies could perform the Sorkin play as long as they use his adaptation. The offer is intended to "ameliorate the hurt caused here," Rudin said in a statement provided Saturday to The Associated Press. 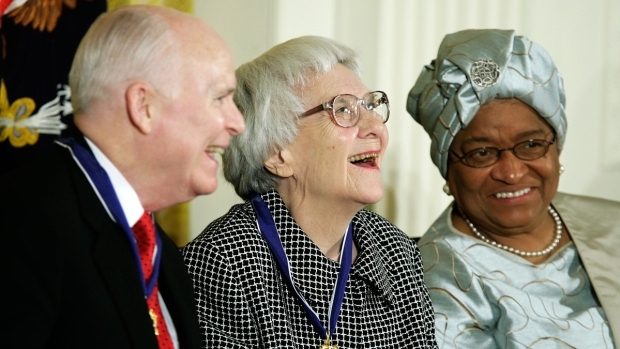 "For these theaters, this is the version that can be offered to them, in concert with our agreement with Harper Lee. We hope they will choose to avail themselves of the opportunity." Maybe, maybe not, said the artistic executive director of one of the affected theaters. "We are interested in the offer and intrigued," said Seth Miller of the Grand Theatre in Salt Lake City. But Rudin has yet to respond to questions that would need to be answered first, including how long the offer is good for, Miller said Saturday. At this point, he said, it's too late to stage it during the play's allotted three-week run, which was to begin March 26. Miller said he has yet to see the Sorkin version and would have to evaluate the script before making a decision. "I've heard good things about the show, I've heard people that weren't thrilled with some of the changes," Miller said. "I'm not going to commit to doing something I haven't read." Rudin, an Oscar-winning film producer ("No Country for Old Men"), had argued that Lee signed over to him exclusive worldwide rights to the title of the novel and that Rudin's current adaptation is the only version allowed to be performed. 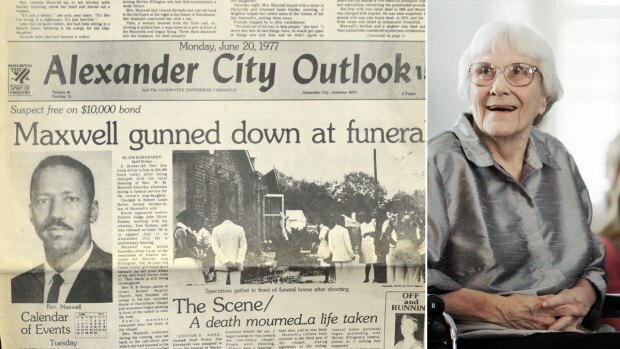 Lee died in 2016 at age 89. Rudin's demand forced the scuttling of adaptations in small venues such as the Mugford Street Players in Marblehead, Massachusetts, and the Kavinoky Theatre in Buffalo, New York, as well as in Salt Lake City and a planned United Kingdom and Ireland tour. They had licensed the rights for a different version, written by Christopher Sergel and licensed by the Dramatic Publishing Company, or DPC. The all-volunteer Curtain Call Theatre in Braintree, Massachusetts, said it received a letter threatening damages of up to $150,000, a burdensome amount for a venue where tickets for plays are $20 and $25 for musicals. The Grand Theatre's estimated loss is $20,000, "a considerable sum for a community theater," Miller said. Options are being weighed to fill the "Mockingbird" run. Rudin had defended his original position in a recent statement: "We hate to ask anybody to cancel any production of a play anywhere, but the productions in question as licensed by DPC infringe on rights licensed to us by Harper Lee directly," he said. "The Sergel play can contractually continue to be performed under set guidelines as described in detail in its own agreement with Harper Lee — and as long as those guidelines are adhered to, we have no issue with the play having a long life." That sparked an online revolt with the rallying cry of #BoycottRudinplays. Chris Peterson, founder of the OnStage Blog, asked ticket buyers to avoid all current and coming Rudin productions on Broadway, including "Hillary and Clinton," ''Gary: A Sequel to Titus Andronicus," ''King Lear," ''The Ferryman" and "The Book of Mormon." "If a theatre was consciously stealing creative license, that would be one thing," Peterson wrote online. "This is something else entirely. This is wrong." He added: "Prohibiting others to perform this piece goes against everything the novel is about in the first place." A spokesman for the American Association of Community Theatre said last week the organization would not weigh in on the dispute. AP Entertainment Writer Mark Kennedy in New York contributed to this report.